by Frances Lennard, Programme Convenor, MPhil Textile Conservation. The MPhil Dress and Textile Histories programme at the University of Glasgow is now in its third year and is going from strength to strength. 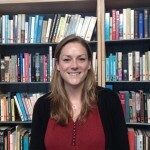 Rebecca Quinton, Curator of European Dress and Textiles at Glasgow Museums, was seconded to the university part-time to set up the programme and to convene it for the first two years. She got the programme off to a flying start. 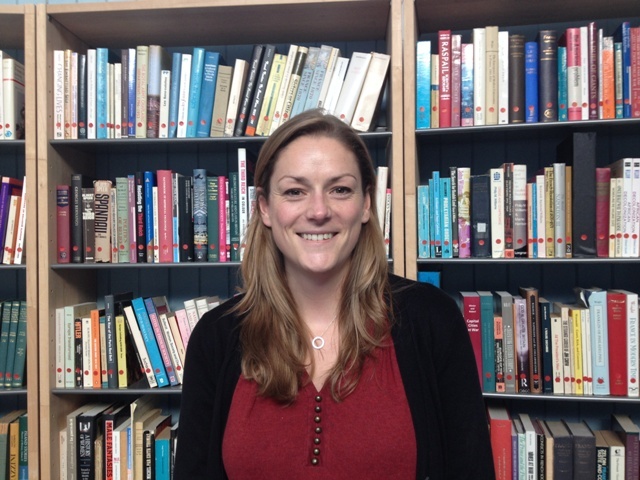 Students can still benefit from her knowledge and curatorial expertise – she is continuing to teach and publish her research and to facilitate links between the programme and the collections of Glasgow Museums. 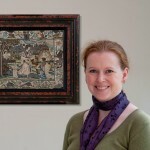 Dr Sally Tuckett, a researcher at the University of Edinburgh who has most recently completed a major research project on the Turkey Red Collection in the National Museums Scotland , is also making a major teaching contribution this year, working with Liz Hancock of History of Art to convene the programme. Liz has a particular interest in historic interiors and furniture, and is collaborating with colleagues in Glasgow Museums on the Burrell Collection tapestry project, collating an index of dealers and collectors. I’m also delighted to pass on the news that Dr Lesley Miller was recently appointed Professor (0.2) in the School of Culture and Creative Arts to contribute to the MPhil Dress and Textile Histories. Lesley is Senior Curator of Textiles and Dress (before 1800), in the Furniture, Textiles and Fashion Department at the Victoria & Albert Museum and is currently lead curator for refurbishment and reinterpretation of the galleries devoted to Europe 1600-1800. This means that the programme will have a very close connection with the V&A, one of the premier collections of dress and textiles in the world. Lesley is shown in the featured image above, working on a new gallery design for the display Drinking for Europe 1600-1800 in the empty V&A galleries. Lesley is an authority on 18th century textiles with a particular focus on aspects of design and commerce in the 18th-century French silk industry – her book Selling Silks: A Merchant Sample Book of 1764 will be published by the V&A in 2014. She is also the author of Cristobal Balenciaga (1992 and 2007, V&A.). 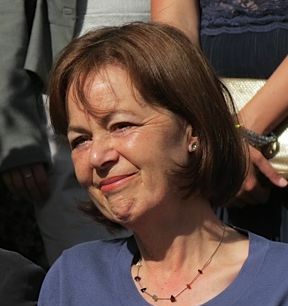 Before joining the V&A in 2005, Lesley taught dress and textile history and was latterly Head of Division in History of Art & Design at the University of Southampton. 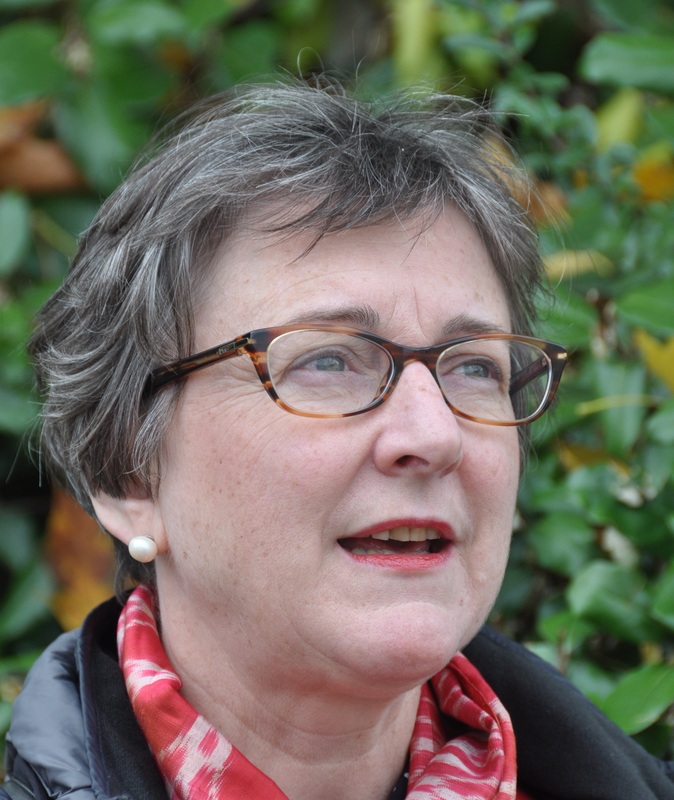 She was a Principal Investigator of the HERA Fashioning the Early Modern: Creativity and Innovation in Europe 1500-1800 project, working with Project Director Evelyn Welch and partners in Denmark, Finland and Sweden. 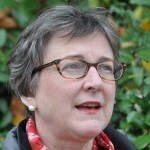 She is a member of the Pasold Research Fund and on the Editorial Board of Textile History. 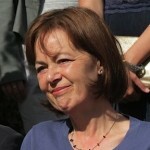 She is one of the four Vice-Presidents of CIETA and on the Scientific Committee of the Festival de la Soie in Lyon. These exciting developments will give the programme even greater impact, and will encourage closer links with textile conservation. For more information on the programme see the University of Glasgow MLitt Dress and Textile Histories web page.